Teacher candidates that want to teach Theatre Arts in the state of Washington are required to be certified by passing the WEST-E Theatre Arts Test #055. An overall score of 240 is considered a passing score. The Theater exam is an NES (National Evaluation Series Test) which fully aligns with the Washington state educator competency endorsement program. 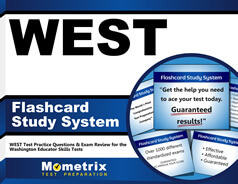 The WEST-E Theatre Arts Test #055 practice test is a great tool to help you study for your test. This is a computer-based test with approximately 110 multiple choice questions. You will be allowed 2 hours and 15 minutes to take your test. The framework of the WEST-E Theatre Arts test covers three subject area domains. The WEST-E Theatre Arts practice questions will prepare you for the types of questions that will be presented on your test. The domains include 32% of the questions on Foundations of Theatre, 37% on Theatrical Production, and 31% on Analyzing and Connecting Theatre to Everyday Life. 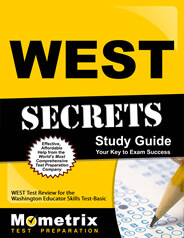 Use the WEST-E Theatre Arts practice test to assess the level of your knowledge in each domain area. You can expect to see questions on the basic elements of dramatic literature including knowledge of dramatic literature from historical and contemporary eras within a variety of cultures. You will also need to demonstrate competency in the methods and principles of playwriting. Other topics include principles of acting, vocal techniques, movement techniques, directing theatrical productions, sound, lighting, and set design. Prepare your studies to include skills and techniques related to theatrical lighting, sound design, set and prop design, costuming, and theatrical make-up. You will also need to have a good understanding of theatrical facility and management principles, legal issues, and ethical considerations. You will also be tested on the history of theatre in world cultures, creating and communicating meaning in theatre, and theatrical appreciation and criticism. Finally, you will need to be able to analyze how theatre arts relate to other arts disciplines, academic subject areas, and vocational, and avocational opportunities.